Thank you to the academy for this recognition. What can I say? I’m one of the best at putting things off, neglecting, and just plain forgetting things. Thank you also to my plants that died, or threatened to almost die. I couldn’t have done it without them. I had an “Augh, I’ve killed it! 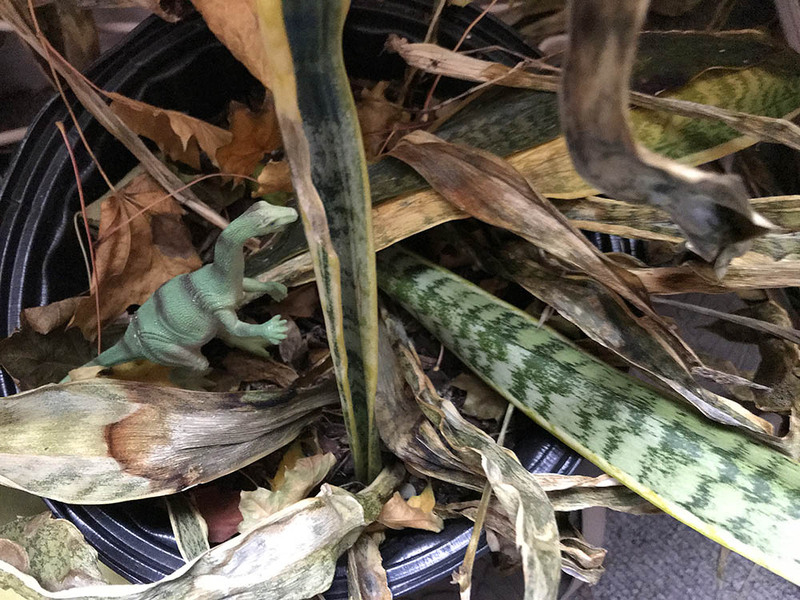 !” moment in November, when I forgot to bring in my sanseveria plant during the first bad frost. It actually looked ok when I finally brought it in, and I thought it had managed to get by unscathed. Magical thinking. It sat in a sunny window for about a week, looking quite happy. I was very pleased with myself. Then, I accidentally brushed against it, and a leaf keeled over. I told myself, oh, too bad, some of the leaves didn’t make it through that bad spell. But the rest will probably be fine. Soon it was as if all the leaves were being delicately chewed by a tiny house-dwelling beaver, as one after the other toppled off at the base. 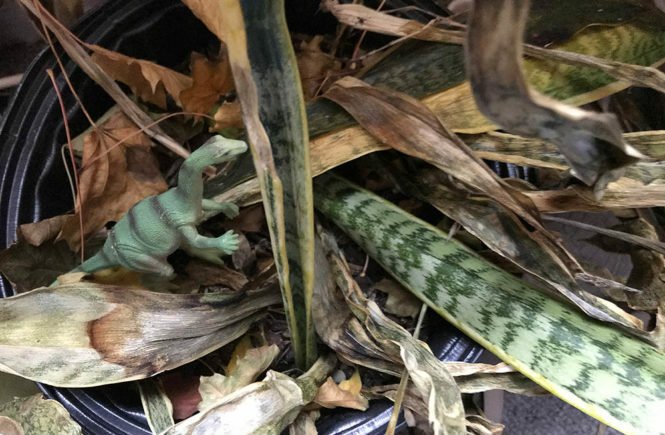 I was in denial for a week or so, but eventually had to admit that my bad-timing and neglect had resulted in an Ex-Sanseveria. Then there were my dahlia bulbs. I was so happy that I had managed to dig them up before real winter. I even bragged about it on Twitter! But, instead of cleaning them off and properly storing them, I tossed them, soil and all, into various buckets and containers. Then, promptly forgot all about them. 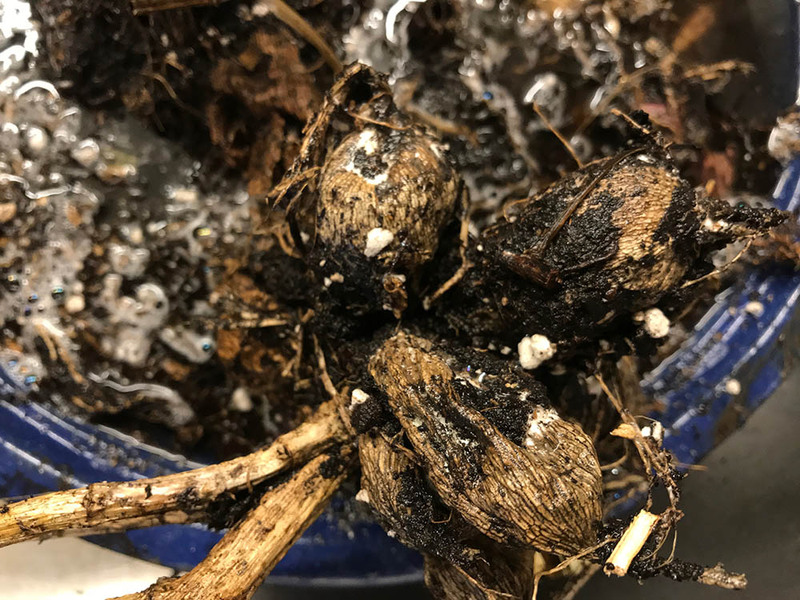 Can these dahlia bulbs be saved? Of course, every time I walked past them on the front porch I’d think, “Oh, I’d better do something about those dahlia bulbs!” Then all thoughts of dahlias would disappear from my brain, like a dandelion puff in the wind. Trying to solve the “out of sight, out of mind” problem, I brought them into my kitchen where they were less easy to ignore. In fact, I’ve been tripping over them for about a week and a half now. Finally today I decided to see if I could rescue them, and properly store them for the rest of the winter. Ha! Which is only a few weeks more now. First thing I did was dunk them in water to see if I could re-hydrate them a bit, and clean off the soil and extra roots. That’s what I’m doing now. Plus, getting this remarkable award. Thanks again, Academy! 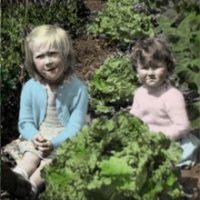 Very funny lesson on what can happen to gardeners who procrastinate! And with photos, no less! Katherine, it’s too bad plants can’t really talk so they could send us SOS signals. Sorry of my life, Helen! Sarah, this time. 🙂 Helen is the more renowned Plant Killer ( mainly houseplants) but I have to get my share in too. Sigh. I guess we all have our plant killing war stories, Margaret. LOL, been there too! Lazy, forgetful procrastinator me. Not really lazy, just too much stuff to do, right!? I was up for that award! Darn. Oh well, glad someone as deserving won. I overwinter some bulbs/corms too – not dahlias, but Tigridia and Acidanthera usually. I used to bring in my Montbretia too until I discovered it was hardy in the garden – most winters! We’ll see what -24C has done to it. In motivated years, I clean the bulbs and then store them in buckets of perlite or sand. This year, sloth took a hand and they dried in the basement for almost 2 months. Now I have them in an almost closed container, but without sand. We’ll see how they are in the spring! OMG! That reminds me that I haven’t seen my dinos for 9 years. Where did they go? Did they dig down in a potted plant? I hope an asteroid didn’t get them, Kate!